Some caring attention and time is always nice for proper food, and sometimes exactly what makes the meal present itself in the best light. But time is something that likes to lack in this hasty world. Sometimes even almost too much. So you hurry through daily life, trying to find something – anything – to eat. Because eating is something you just have to do. Right? But when most of the Christmas turbulences are over and the quiet, long desired tranquility between the years settles over the world, you actually could invest some of this preciousness again. A nice venison ragout for example can taste a lot better if you just let it simmer patiently to let it soak up even more flavour. Also a bechamel sauce brightens up if you give it time with spices, that make it more aromatic. More fascinating. More round. 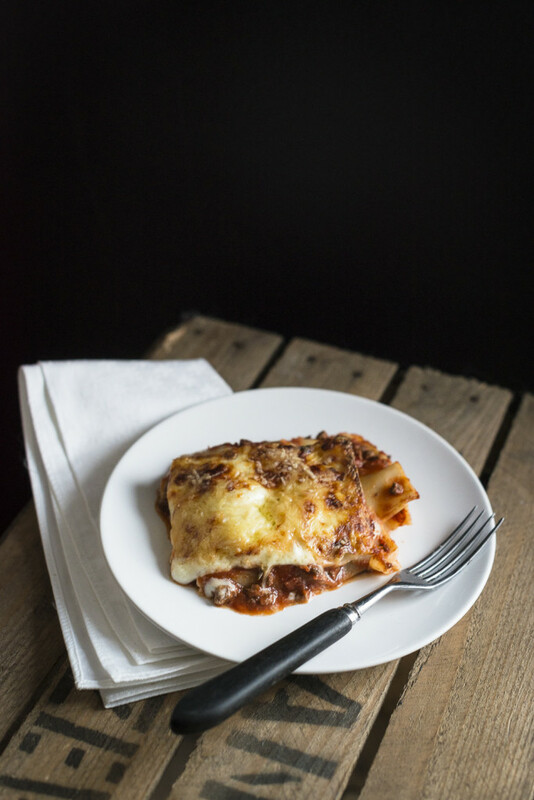 And if you even have the time and the joy to make you own pasta, you will be rewarded with a lasagna that delights your senses with every single layer and that is worth every tiny bit of work. Creamy, spicy, soothing, and full of loving attention you can taste. And best you share this piece of art with your most favourite person… because food always tastes better when it is shared. To prepare the ragout melt the butter in a pan on medium to high heat, then add the venison to fry it. Deglaze it with the wine and pour in the broth and tomatoes. Put in the laurel, juniper, rosemary, and thyme, put a lid on the pan, and let the ragout simmer for 2 hours on low heat. Remove from the stove and best let it rest overnight. Season with salt and pepper to your taste and remove the laurel leaves, juniper berries and herb stalks. Knead the ingredients for the pasta until you have a firm and smooth dough, that is neither wet and clingy nor too dry and dusty. Cover it, let it rest for 1 hour and roll it out very thinly (the thinnest adjustment on your pasta machine, if you happen to have any). Melt the butter for the bechamel sauce in a pot, mix in the flour and after 2 minutes stir in the milk. Let it simmer on low heat for 5 minutes whilst stirring from time to time before adding the laurel and clove and let it rest on very low heat for about 20 minutes. Remove the laurel and clove. Pour a thin layer of ragout into a dish or casserole and cover it with one layer of pasta. Add on thin layer of bechamel sauce and cover that with another layer of pasta. 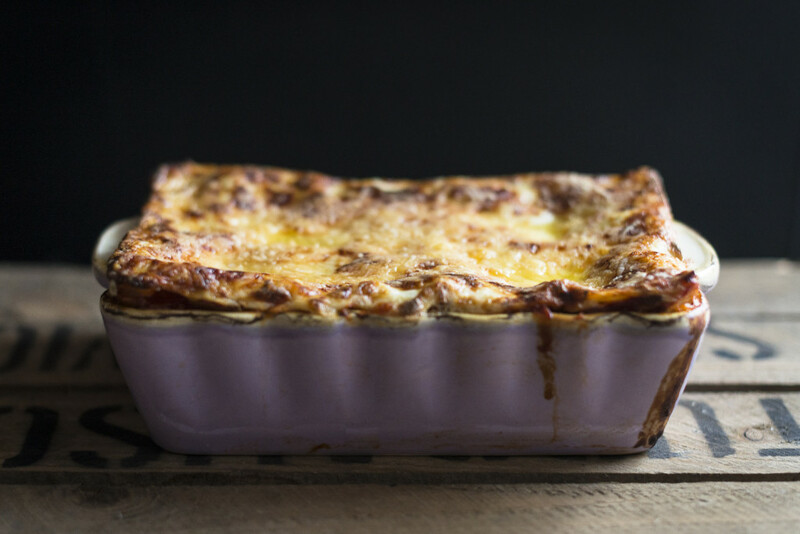 Continue until all the ingredients are used up – the last layer should be a bechamel sauce. Sprinkle it with the cheese and bake for about 40 minutes until the surface of the lasagna is golden brown and bubbly.